The Fitness Protocol is a members-only boutique gym that specialises in functional fitness. Apart from its signature fat loss transformation programs, this includes Spartan-type obstacle course race training sessions. 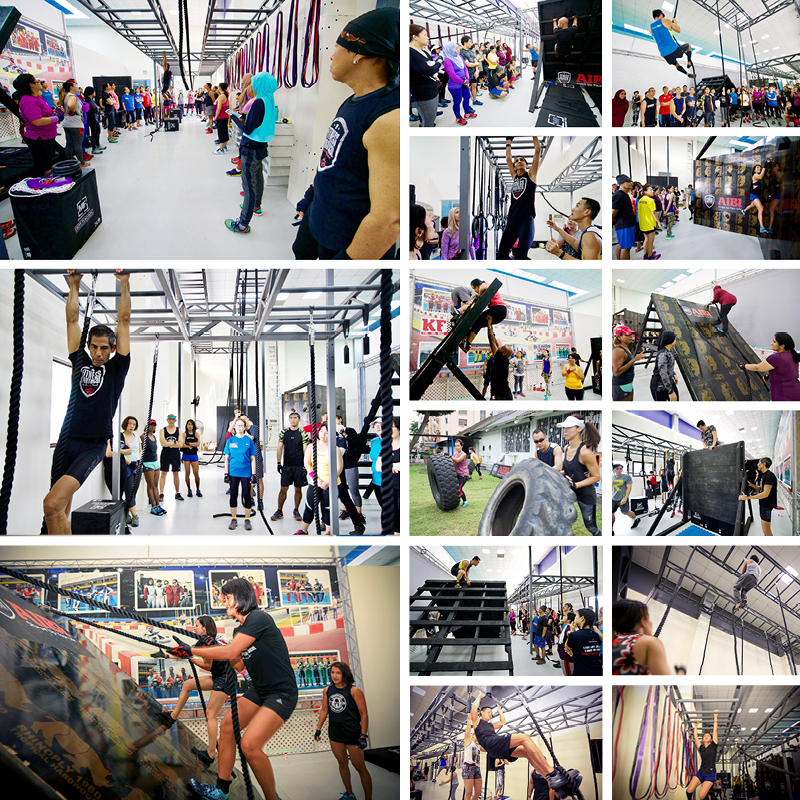 OTT is conducted in the upstairs Indoor Playground (2nd floor of the Singapore Badminton Hall), while the Spear Throw training is conducted in the Outdoor Playground (ground floor behind The Fitness Protocol gym). 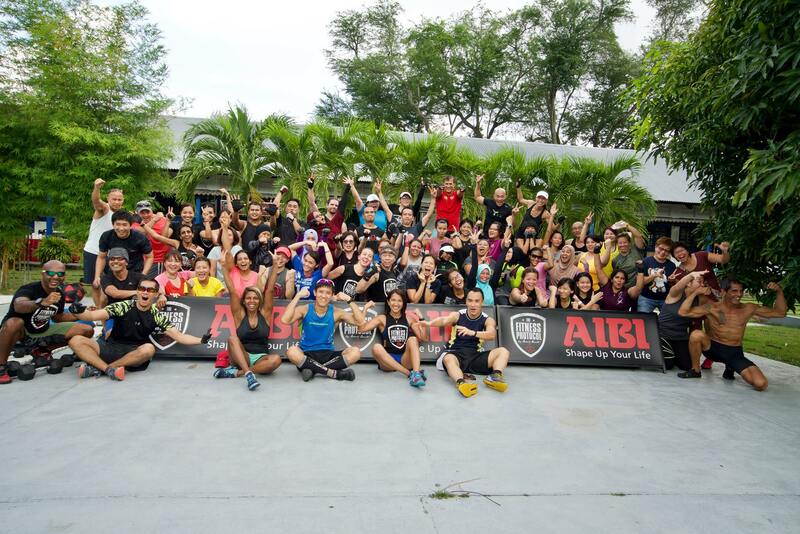 - For Obstacle newbies, you must attend a Fundamentals session (either Obstacle Technique Training or Spear Throw). 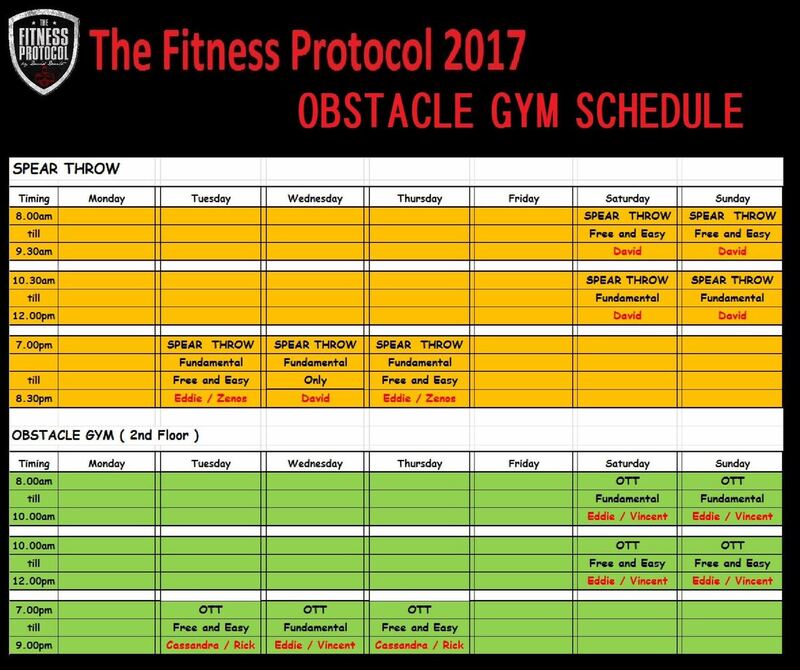 Going through a Fundamentals session qualifies you to become a Fitness Protocol Obstacle (FPO) member. In order to be accepted as a member, you must pay a one-time $100 membership joining fee. This helps maintain the quality of our community. Once you join as an FPO member, you are eligible to participate in any of the Free & Easy (OTT or Spear Throw) sessions. - For members, you are eligible to register and pay for any of the Free & Easy (both OTT and Spear Throw) training sessions. Come join us in "Spartan Training Heaven"